Through two rounds of the playoffs, the Golden Knights lead postseason teams in a few crucial statistics. First and for most, Vegas is tied with Tampa for the most postseason wins with eight. Vegas leads the playoffs with 204 blocked shots and 106 takeaways despite playing the fewest number of games of any playoff team. However, the stat of the postseason may have happened last night in the series-clinching Game 6. Against a desperate Sharks team, Vegas played smart protecting the puck and maintaining possession all game. Amazingly, the Golden Knights gave away the puck only once in Game 6. One giveaway in a road closeout game. One! Unsurprisingly, they are the first team this season to complete a game with just one giveaway. Some argue giveaway/takeaway stats are not truly accurate, but even with the margin of error involved in scoring hockey games, one giveaway is incredible. The definition of a giveaway is when a player’s own actions result in a loss of possession to the opposing team. Think back, can you even remember the one? 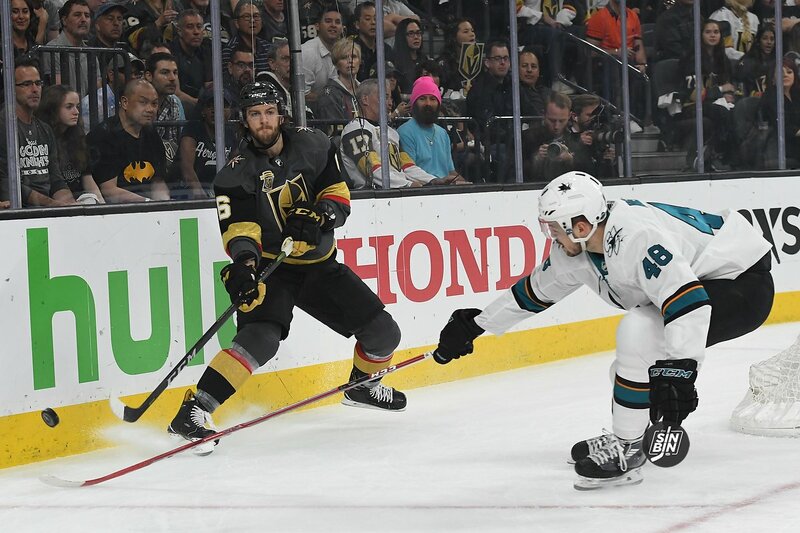 Overall, the Golden Knights have hit their giveaway average in four of ten postseason contests. Vegas was so responsible with the puck in Game 6 that San Jose had trouble gaining possession for a majority of the night. To be fair, the Golden Knights only created two takeaways in last night’s closeout game, but that was likely a result of Vegas playing conservatively with a lead while their opponent chased. If the Golden Knights continue to play error-free hockey, the remaining teams should look out. Surprisingly, Vegas turned the puck over 15 times in Game 5’s victory. Proving the Pacific Conference Champions can win a sloppy game or two… or eight.